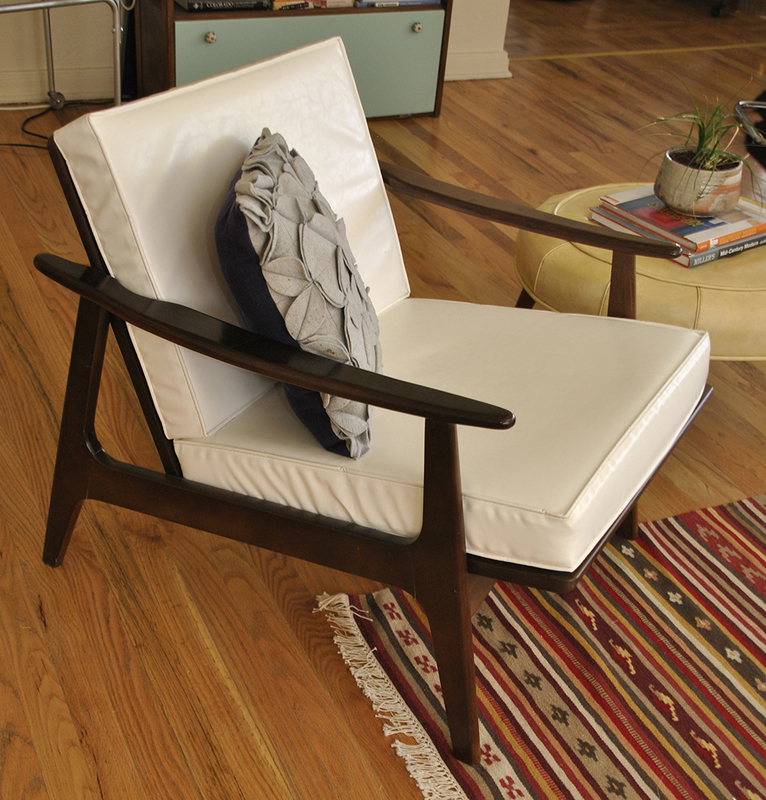 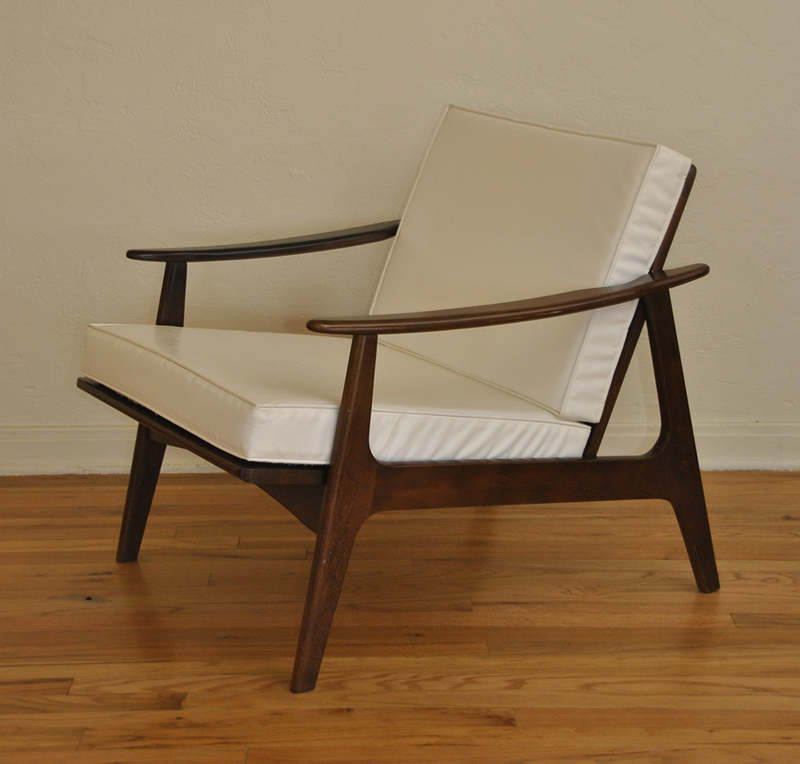 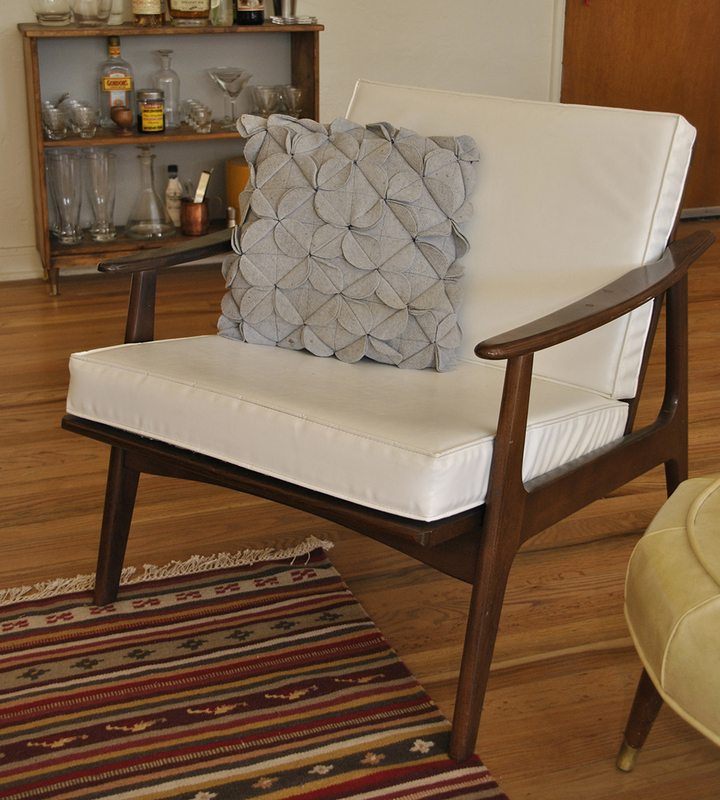 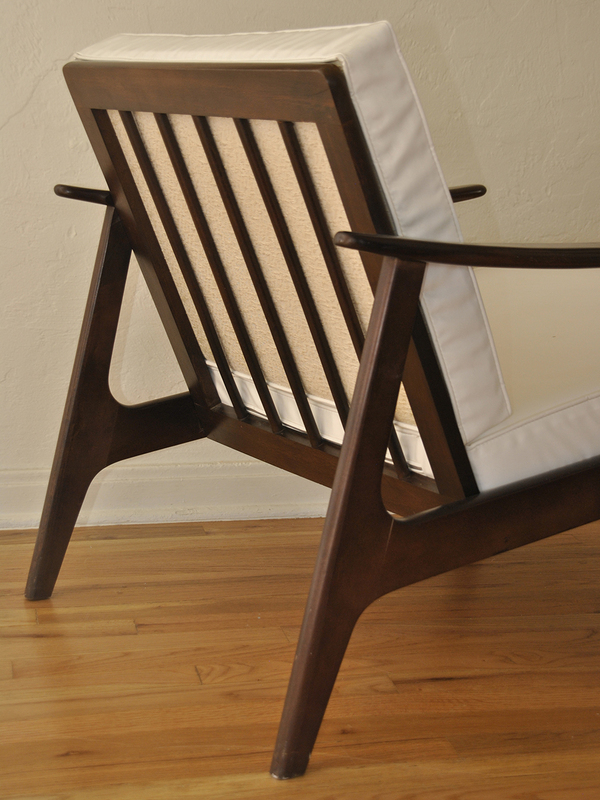 Beautiful Danish mid century lounge chair with original white vinyl fabric and original finish. 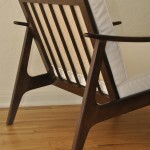 Sculptural form and sleek minimalist design. 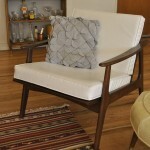 In very good condition with 1 small (about 3mm) blemish on bottom cushion.